GIGA GRANADA HILLS: Snow Day! It snowed in Granada Hills today -- but only at campus of Granada Preschool. 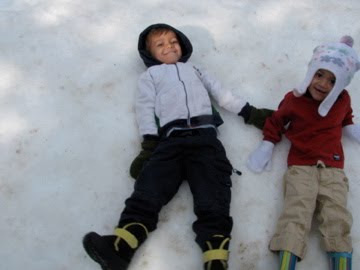 The school hosted a "Snow Day" for students, turning the front drive into a winter wonderland, complete with sledding, snow angels, and hot cocoa.